Nathan Conyers, whose keen news sense, Christian spirit, and community concern lead to the founding of The Milwaukee Times Weekly Newspaper, died Friday, April 27, 2018, after a long illness. He was 72. Mr. Conyers has been a familiar face and voice on Milwaukee’s general community scene, and in particular, through media promoting the city’s African American community since 1977. He not only carved out a niche for himself as a media professional, but through The Milwaukee Times Weekly Newspaper and its parent company, NCON Publishing and Printing Company, has been a prolific creator of jobs within Milwaukee’s central city for more than three decades. A native of rural South Carolina, Mr. Conyers was the youngest of seven children, which included four girls and three boys. He attended public school in Paxville, SC in Clarendon County. The Conyers family would later move to Sumter, SC, where Nathan attended Lincoln High School, graduating in 1964. In 1967, Conyers enlisted in the U.S. Army. After completing basic and advanced training in communications, he was sent to Germany, where he served for the duration of his military career; he received an honorable discharge in June, 1971. Upon returning to his mother’s South Carolina home, he informed her that he would be leaving again – this time for Atlanta, GA, where he had been accepted at Clark College (now Clark Atlanta University). At the time, he didn’t know anyone in Atlanta; but he took a ‘crash course’ on the city by reading the Atlanta Journal-Constitution, especially the classifieds, and looked for work. He ended up following up on a job lead for a Telex operator with Time Magazine’s Atlanta bureau, interviewed for the job and was hired. This turned out to be the ideal opportunity for Conyers, as it allowed him to attend classes at Clark in the morning, work in the afternoon, and still have time to study at night. 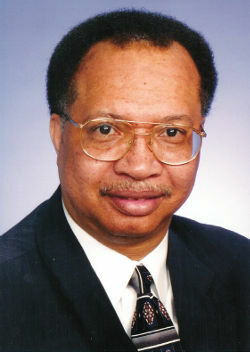 Conyers earned a bachelor of arts degree in political science from Clark in 1971. He held onto the job at Time through 1977, when he relocated to Milwaukee. He soon found work with The Milwaukee Community Journal and was hired as a writer and reporter by publishers Robert Thomas and Patricia Thomas Pattillo, and editor Mikel Holt. While at the Community Journal, Conyers met Monroe Swan, who was running for the Wisconsin State Senate 6th district. Swan was elected in 1972 and hired Conyers as a legislative aide, impressed by the combination of journalism skills and political acumen Conyers brought to the position. Conyers served as a political aide to Swan for the duration of his term in office which ended in 1981. Conyers was then tapped by community activist and retired nurse Louvenia Johnson, who was then executive director of the intergenerational social services organization Project Focal Point, to be her administrative assistant. The two shared a strong interest in politics, community affairs, and issues of faith. He met Lynda Jackson, a young Milwaukee native who had just launched her career as an educator; they married in 1983. In 1981, Conyers joined forces with Mrs. Johnson; and local realtor Luther Golden; to establish a bi-weekly newspaper devoted to church news within the city’s African American faith community dubbed, The Christian Times. Within its first year of publication, the paper grew in appeal to cover more general community news and was renamed The Milwaukee Times Weekly Newspaper, with The Christian Times remaining as a standing feature section to this day. In 1985, the Milwaukee Times publishing team launched the annual Black Excellence Awards program as a way to pay tribute to the good works of ordinary people from Milwaukee’s black community who were accomplishing extraordinary things, yet going unnoticed. To date, nearly 1,000 black Milwaukeeans have been introduced to the community from various professional and community endeavors as Black Excellence Awards honorees. At the third Black Excellence Awards program in 1988, Conyers helped his co-founder, Mrs. Louvenia Johnson, launch The Louvenia Johnson Journalism Scholarship Fund, to assist college-bound high school graduates seeking to pursue careers in print and broadcast journalism. The scholarship now offers financial support to graduating high school seniors seeking a degree in any major. To date, the Fund has awarded more than half a million dollars to area students by the scholarship, which is now an IRS 501c3 nonprofit, charitable organization. Conyers also started the Annual Golden Moments Celebration, an event honoring African American couples that had been married for 50 years or more. In 1991, the newspaper also sponsored The Milwaukee Times Weekly Newspaper High School Journalism Workshop, an internship program which operated for three years and gave area students hands-on, paid experience in news writing, editing, photojournalism, printing and publishing skills. Conyers also satisfied his lifelong interest in local politics and community affairs by serving as an advisor or board member to several community organizations, including the interdenominational faith group Pastors United; the Milwaukee chapter of Operation PUSH; and Independence First, an advocacy organization for people with disabilities. He also served on the boards of Discovery World, Milwaukee Urban League, the NAACP Milwaukee Branch, and Miller (Brewing) Ride for the Arts. 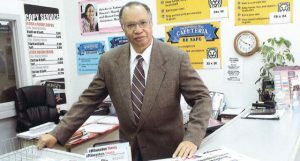 In 1992, he was approached by Econoprint President and CEO John Selix to open the first Econoprint franchise in Wisconsin owned by an African American. Conyers also made a run for alderman of Milwaukee’s west side 17th district in 1992, losing to E. Fay Anderson. As a man of faith, he and his family attended Community Baptist Church of Greater Milwaukee. Conyers is survived by his wife, Lynda; and daughters Morgan and Deloris. The family is having a public visitation at St. Mark AME Church, 1616 W. Atkinson Ave., Milwaukee, Wisconsin, on Sunday May 6, from 3:00 p.m. to 7:00 p.m.
Funeral services for Mr. Conyers will be held on Saturday, May 12, 2018 at West End Community Church, 101 South Salem St., Sumter, SC 29150.